INTERVIEW: AOR Mr. Kundan Mishra talking on topic of Law Students. Comments Off on INTERVIEW: AOR Mr. Kundan Mishra talking on topic of Law Students. This is not said by any Famous personality but by a common person who by his hard work and strong willpower made himself. Advocate_on_Record of Supreme Court of India. He had completed his LLB from Campus Law Centre in 2004 and appeared for Bihar Judicial services and qualified but due to his love and passion towards practicing Law, he left that and started practicing with his elder brother in Patna High court. Later on, in 2007 he moved to Delhi and joined Tis Hazari court and later on he started to get cases of High court and Supreme Court. Finally, in December 2010, he became Advocate on Record of Supreme Court. He is now Partner at Kundan Mishra and Satya Mishra Law offices Delhi. He is a Member of The Honourable Society of the Middle Temple England and dealt a lot of cases in Tribunals there. He had also worked as attorney of Law in the Republic of Seychelles and he has joined Bar of the Republic of Seychelles. His favorite Subject is Comparative Constitutional Law and Comparative Commercial Law. Q1. Now a day, Law students prefer to work in Supreme Court directly after his degree? Do you think this is appropriate? Ans: No, this is not appropriate as my experience because the most important thing when you enter into legal profession is to know the basics of legal procedure and having its sufficient knowledge. Despite Good law colleges, the student doesn’t have so much practical knowledge in his basic stage. Initially, about 80-90% of cases are started in Lower court either it is a civil matter or criminal or different types of matter. Pleadings filled, evidence, and whole procedure there in the lower court is the foundation of every case. As Advocate, if you had worked hard for your case in lower court and you put your case strongly then up to high court and Supreme Court, you will not lose that case. This is considered as the key secret of winning any case in the Legal profession. If any Law graduate has not sufficient knowledge of this, he will not perform better in High Court and Supreme Court as he lacks in the knowledge of practical mistakes which a lawyer do when he loses a Case. This is the reason that in Supreme Court after the minimum experience of 5 years, you can be Advocate on Record. So according to me, firstly Law students should join District court, work for at least two years there and then they should proceed further. Q2. In the current scenario, even in the first year, Law students opt for an internship in High court and Supreme Court, is it justified in your view? Ans: According to me, internship is only beneficial to you when you can contribute and learn in the work process where you are working as an intern and if you are setting there as Mute Spectator, there is no benefit of such internship. This will discourage you that I can’t contribute in that work, and plays a negative role in spite of encouraging you. From that internship, you can achieve certificates to add in your C.V but will not help yourself in terms of knowledge in your upcoming Legal Career. Best time for doing an internship in HC, SC is from the third year onwards in the 5-year program because at that time you are aware of various types of laws. Then you will find yourself associated with that work and Learn with a better and broader view. Q3.Sir, why some Law students excel in their lives and Join SC whereas some never think beyond of District Courts? Ans: Let me clear you one thing that parameter of success is not Practicing in Supreme Court or District Court. Sometimes you are getting a lot of cases of trial and you became a very good criminal lawyer so you are continuously working in the district court and it doesn’t make sense that he is a small Lawyer or Big lawyer. This concept is totally wrong. In India, there are many veteran Lawyers who are practicing and practicing in District Courts. Even Ram Jethmalani Sir has also worked in District Courts. I also go trial courts in some matters related to CBI and others. It doesn’t matter in which forum you have more work; it depends upon your interest, your inclination towards particular types of cases. If you are good in trials, go for district courts, if you are comfortable in Constitutional matters, go for either SC of HC. Q4. Any tips for Law students to excel in their career from your experience? Ans: Law is a great subject; it can’t be confined to any definition. Advocacy is a positive view, imagination, thinking, visualization. 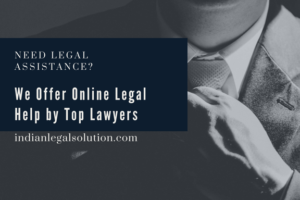 A client produces facts in such a manner that a common person will find a number of facts in that case but a good Lawyer will find a legal issue in that case. He thinks about the laws and issues by which he will deal that case. According to me, you will get success in your legal profession only when you have love towards law. You have to think by yourself that what your point of interest is, in which subject you are more comfortable, whether you want to become a judge or you want to become an advocate. As I always wanted to become a lawyer so even after cracking judicial exams, I opted for Advocacy. The right decision as per your inner choice will definitely help in achieving your goal. In simple words, if you are Happy from your work, this is the perfect decision you had made regarding your career and success is bound to come to you. Best of luck to the new students coming in this profession. Crime and Consent :Critical Analysis. Corporate guard for directors, and technicalities to look after.